Learn how to establish a partnership with your educational foundation to access alternate sources of revenue. Educational foundations are non-profits, and may qualify for many grants that are not available to your school or district. Learn how your district can save money, operate more efficiently and create healthier schools. 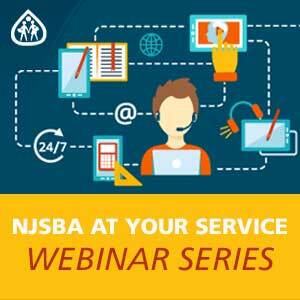 This is your opportunity to earn more about ways NJSBA can help your district achieve its goals through sustainability services, the Grants Support program and ACESplus. The E-Rate Program has provided up to $2.25 billion in funding annually to schools and offers eligible schools discounts on telecommunications services, Internet access and internal connections. In July 2014, the FCC voted to modernize the E-Rate program to help schools and libraries save money on telecommunications equipment. This effort, known as E-Rate 2.0, makes available an additional $1 billion in funds to address school and library needs with wireless and broadband connections. Learn about the changes in the E-Rate program, how to apply for funds with the new rules, and most importantly, how to save money with your discount rate and Category 2 budget.